WineMyWay is an app that every wine connoisseur needs today. This app lets a wine-lover know about all the famous wine-tasting events, buy tickets to them, and stay in the know. This app is easily your very own wine expert that's there with you, in your pocket. 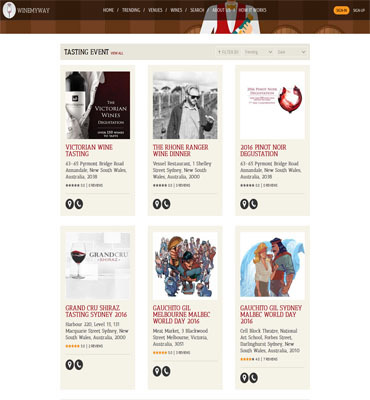 The app includes a complete list of venues and wines that you can rate and share. 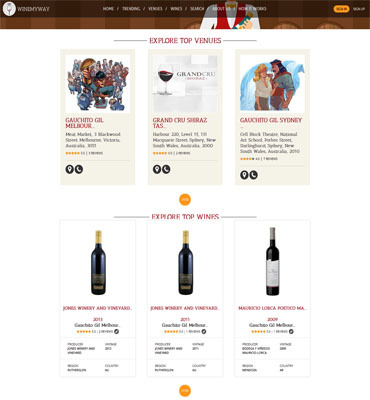 The app does not need its users to register if they just want to browse through all the exciting wine categories available. Besides visitors, this application had three audiences: venue manager, wine authority, and administrator. The admin was required to upload all the wine data points into the system. 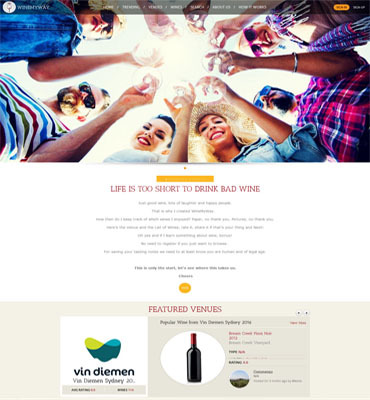 Wine and venue pages needed to have their own descriptive content. A wine list was designed to have its own structure. A wine authority posted reviews for venues and wine lists and rated them. For tackling the challenges and businesses needs of WineMyWay, we deployed our dedicated senior designers, project managers, account managers, senior developers, business analysts, project managers, testing managers, and HTML developers. The team was committed to metting all the timelines that were shared by the client. The best part was that the team delivered every project-specific milestone on time as per the client needs. 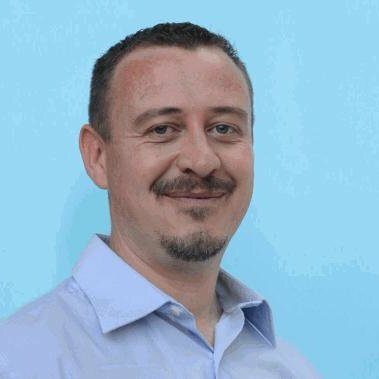 Front-end The team has researched continually and dedicatedly for creating an app ecosystem that is feature rich in every way. 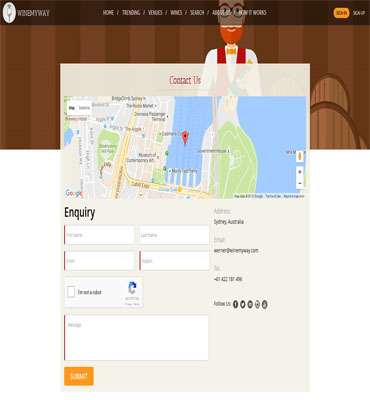 We even deployed the latest technologies and frameworks for improving the app's responsiveness. Backend The developers have created a dedicated application layer along with a logic layer. These layers were programmed using different back-end protocols and frameworks. That is how we managed to introduce a new level of accuracy in data management on the server end. Development Process Our team followed a flexible development approach for delivering high-quality wine data to its viewers. The team began with requirement gathering. Then the team analyzed these needs for making sure that its development process is on the right track. With a robust development process in place, our team delivered the application on time. Moreover, the project was developed and deployed for making sure that it meets every single client requirement perfectly well. This was an amazing process and I will continue to collaborate with them in the future. I will recom.. 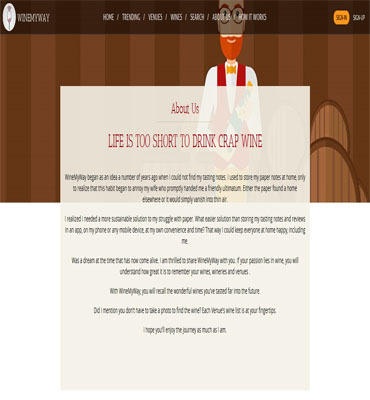 The client had its wine application ready with a snappy UI and improved performance. Our team developed dedicated APIs for collecting wine-related data. Besides creating powerful front-end, we even developed a robust backend space for enabling the admins to manage and organize data. Below are some of the highlights of our engagement with the client. These points explain why our dedication has unlocked a new business opportunity for our team.